Dans une cocotte, brown the meat on each sides for 5 minutes on medium heat. Season with salt. Preheat your oven to 200°C (390°F). Spread the puff pastry sheet. Arrange the tenderloin in the middle. Rub the meat with mustard. 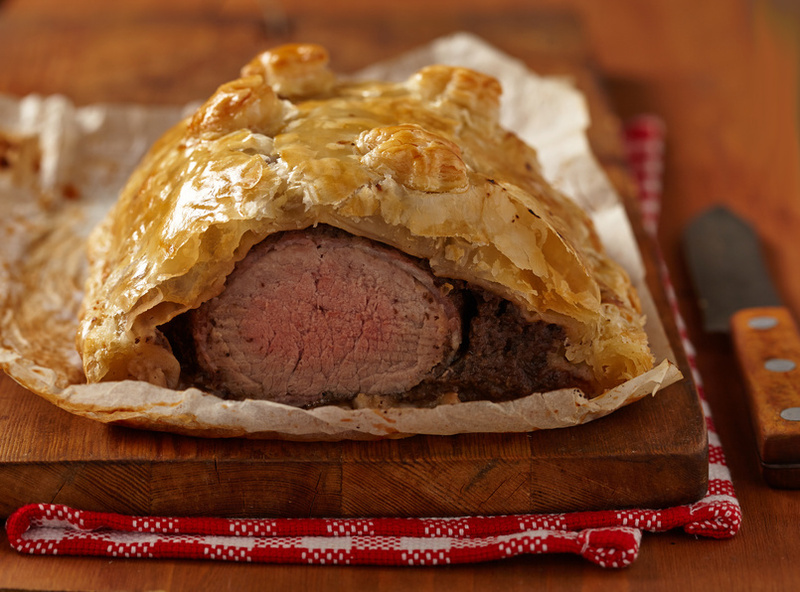 Wrap the tenderloin with puff pastry, seal the edges by pressing firmly. Brush the whole pastry with egg yolk. Bake for 40 minutes at 390°F (200°C).